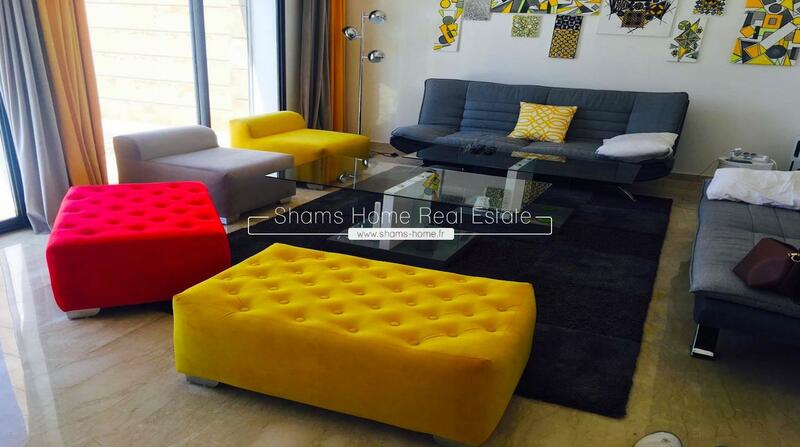 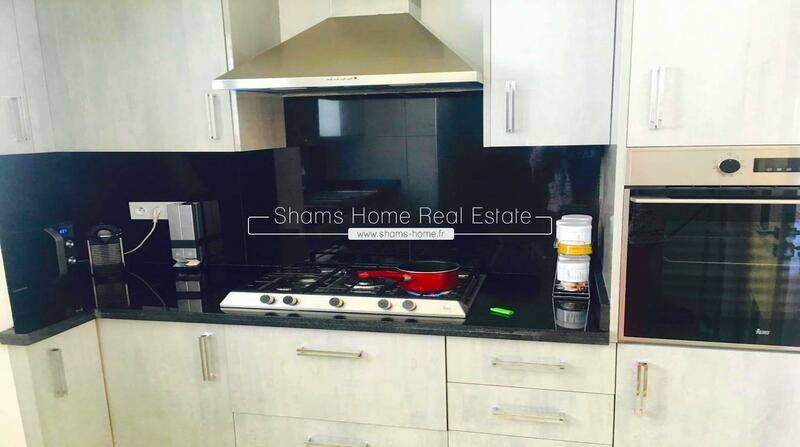 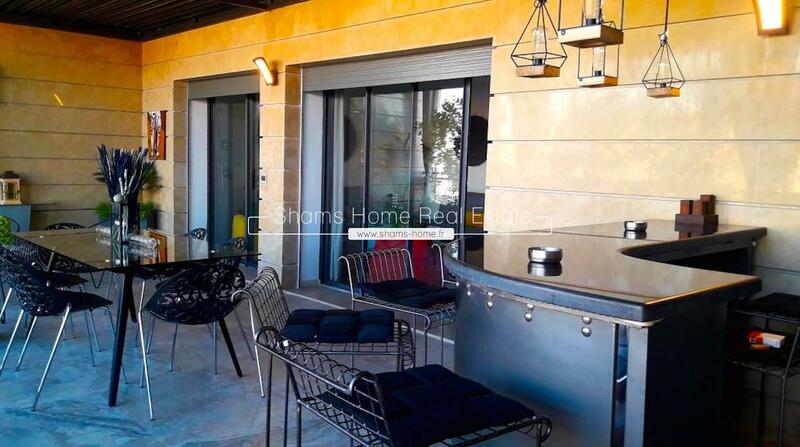 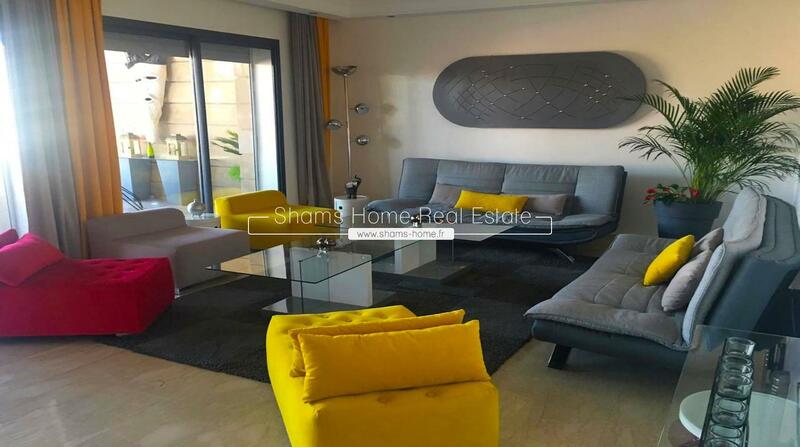 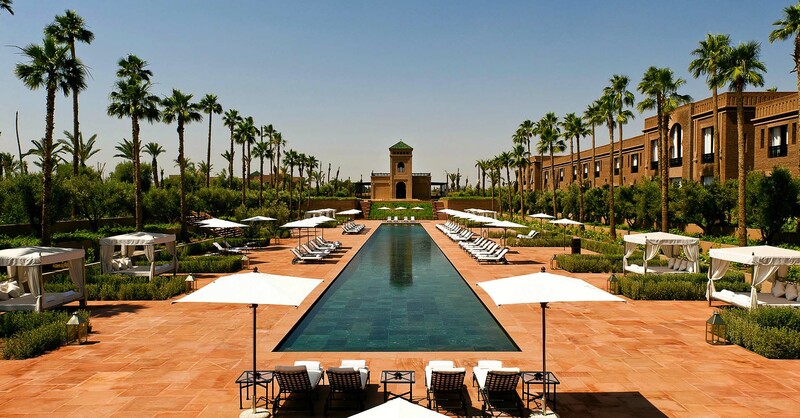 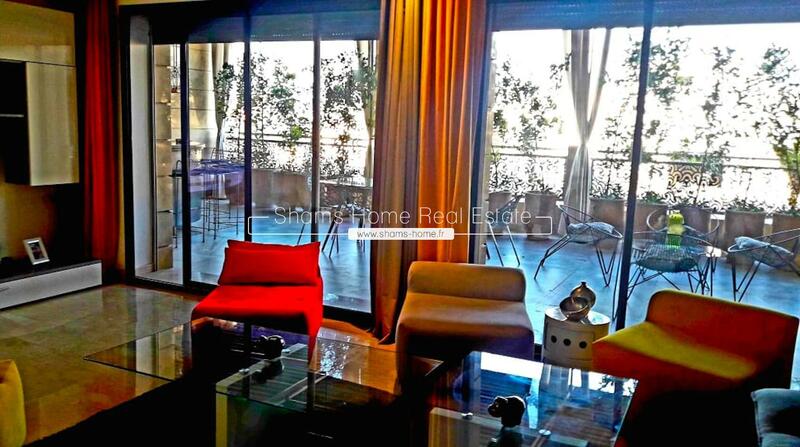 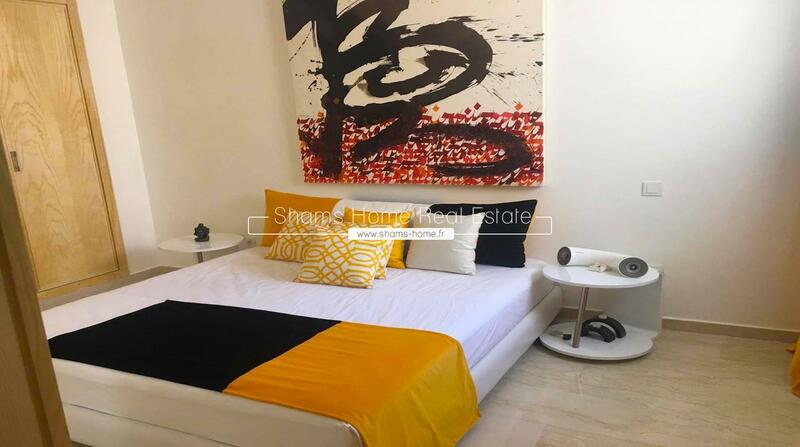 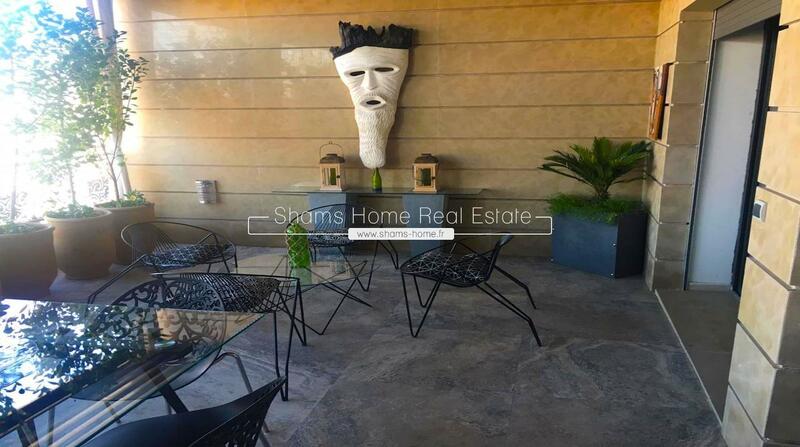 An exceptional location, an enchanting setting close to all amenities (Leisure & Shoping), Shams Home our Luxury Real Estate Agency in Marrakech , suggests this Splendid Apartment for sale in Gueliz in a High Standing Residence, quiet and secure . 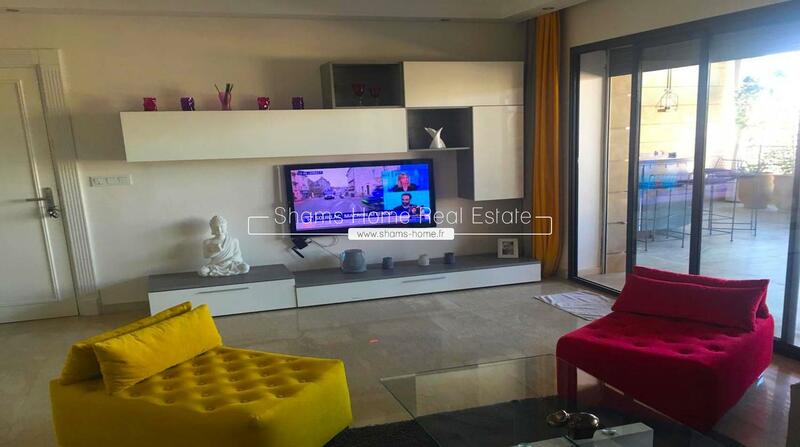 This property combines beauty, luxury and modernity, has two spacious bedrooms including a master suite with private bathroom, a beautiful living room contemporary and very bright where is aligned upscale furniture Chic and sleek, modern kitchen fully equipped and a large terrace of 40 m² very well equipped with a lounge area, a dining room and a bar area for the pleasure of the senses and well-being in a resolutely sumptuous setting. 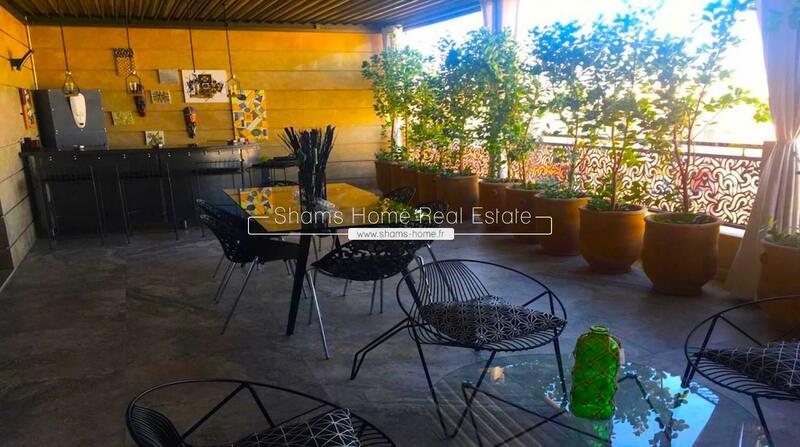 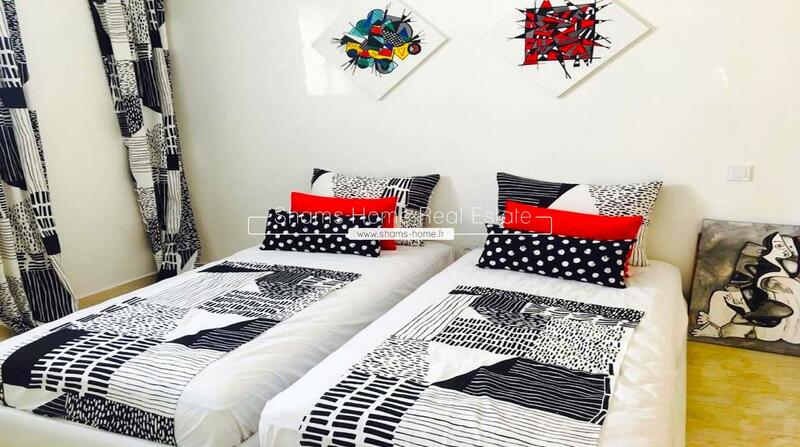 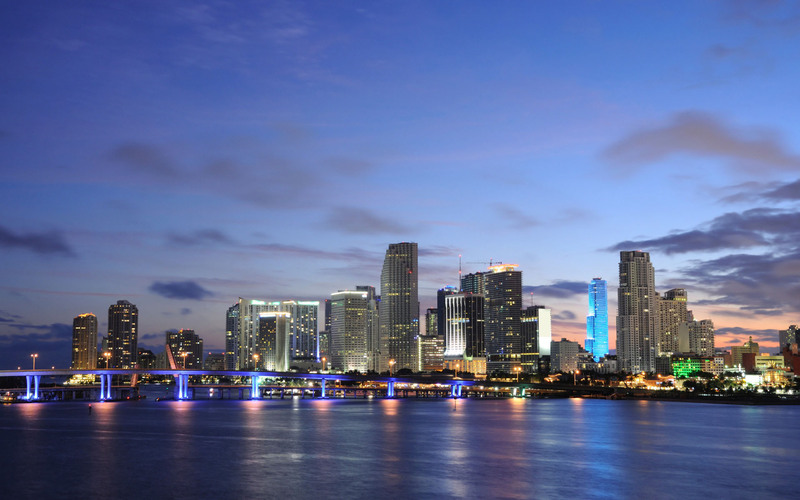 This Apartment for Sale immerses you in an intimate atmosphere and very pleasant thanks to its benefits of great qualities that will seduce you even more.